Pertussis is a contagious respiratory disease caused by bacteria that causes violent coughing episodes. 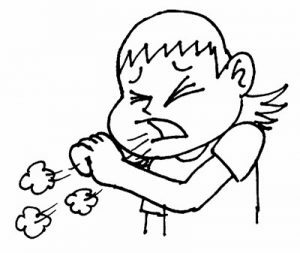 It is spread person to person through coughing and sneezing. Though babies are vaccinated, the vaccine protection wanes and teenagers and adults are susceptible to the disease at a later stage in life. Initial symptoms occur 7-10 days after exposure and are cold like. Symptoms include sneezing, fever and mild cough that progresses to a violent cough usually ending in a “whoop” and often followed by vomiting. The cough can last 1- 2 months. Fatality rate is 1%. The cough in infants less than 6 months and teenagers and adults does not usually end in a “whoop” but is persistent and lasts for many weeks or months. The vaccine for pertussis is a combination shot. It includes tetanus, diphtheria and pertussis or tetanus, diptheria, pertussis and polio. It is called Adacel (TDP) or Adacel with polio (TDAP). The vaccine is part of normal childhood vaccines and is given at 2 months, 4 months and 6 months. It is given again at age 4-6 and in British Columbia a booster is give at age 14-16. Pertussis is found worldwide, even in areas where vaccination rates are high. 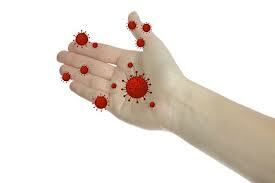 Almost every year there are outbreaks in Canada and the USA. People are at risk if they come into contact with an infected individual. Why should you get vaccinated? Germs can be spread before the coughing spells appear. The vaccine is important for parents/grandparents who will be in contact with young infants who have yet to finish their routine vaccinations. Adults often carry the bacteria that could potentially infect young children. Pneumonia, convulsions or seizure, brain damage (1 out of 100 cases) and about 1 infant out of every 170 who gets pertussis will die. Is there a treatment once infected? Pertussis is treated with antibiotics for those greater than 1 month old.